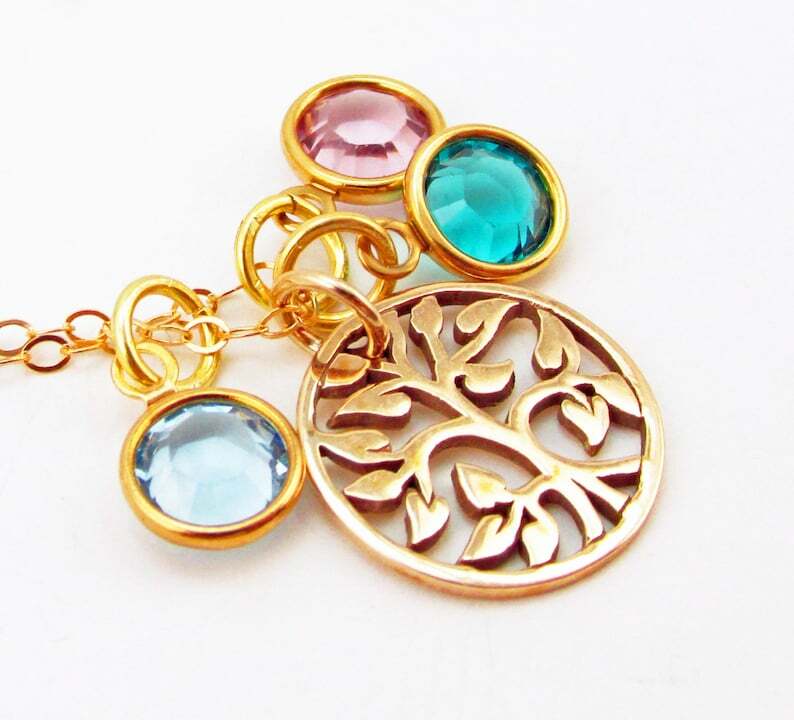 Customize this mothers family tree necklace with the birthstones of each of your family members. 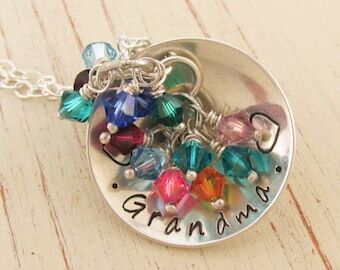 Just think how thrilled your loved one, maybe your mother, grandmother or aunt will be when you gift her with this meaningful keepsake. 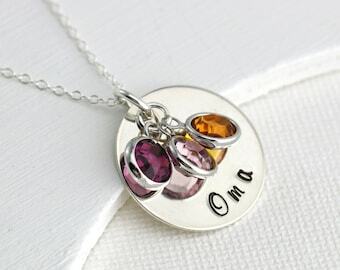 Or, perhaps buy one for yourself and include a birthstone for each of your children or grandchildren. Bronze: If you are looking for an alternative to gold, I highly recommend natural bronze. It is economical and looks very similar. 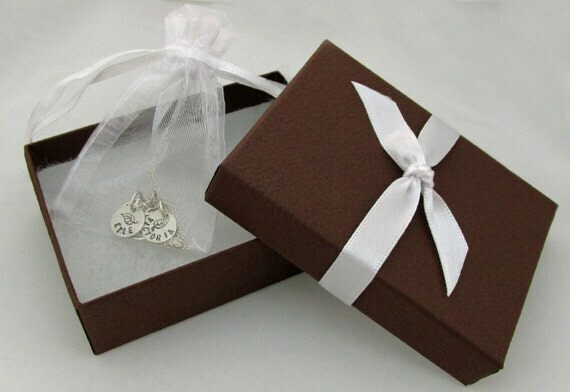 The natural bronze is a lovely warm color and looks great on a 14K gold filled chain. A high quality alloy sourced from Italy and mixed with precision instruments and with the highest standards make it a product to be proud of, consisting of approximately 90% copper and 10% tin. Our bronze does not contain nickel or zinc. Bronze will naturally tarnish and become darker over time, adding character to the metal.